our products. We believe in giving the very best to both parent and child. Freddie and Sebbie's Lunch Bag is so cute! 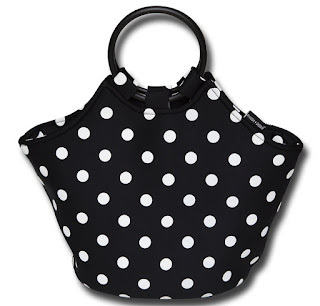 The stylish polka dot design is something I really adore! This bag is perfect for carrying your lunches for work or on the go. I love that the lunch bag is made of neoprene so it can be wiped clean and is made to last. I also love that the Freddie and Sebbie's Lunch Bag can be stored flat and takes up little to no room. Although it seems small it really does hold a lot. I usually pack my lunch as well as some snacks and a water bottle so it can hold quite a bit. This is the perfect lunch and I highly recommend it! to say about our products. We believe in giving the very best to both parent and child. Great for picnics, BBQs, camping, beach sporting events. 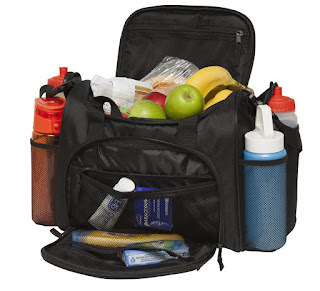 Freddie and Sebbie's Cooler Bag is another great product! I love this bag because it can carry everything I need for our family picnics and has many pockets so everything stays neat and organized. The insulated liner keeps everything cool and protected so your sure to have fresh food every time. This bag is made from high quality neoprene so spills are easy to clean and will ensure you get years of use out of your cooler bag. Freddie and Sebbie's Cooler Bag is a wonderful bag to keep food cool and fresh. I highly recommend it! That's a super cute lunch bag. I'm always looking for a new reusable one. The cooler bag looks great. I love how it has all the separate pockets to keep things organized. Perfect for a picnic or day at the beach! I've been looking at lunch boxes vs bags vs coolers, as we will be doing a community homeschooling this year. These ones look great! I need something like for when I take my dinner to work. Such cute lunch bags. Cute bags! I love the polka dots. Thanks for sharing! The cooler bag looks like it would hold a lot. We pack a lot of lunches in our home! I love the little handles on the first bag! It's hard to find cute lunch bags!